Quite an upsetting experience. The food just so so. Chicken is abit liat. 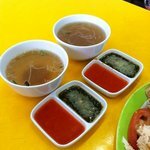 The chicken sauce taste awful. The worse thing is, the waitress even gave us her sour face just because we accidentally rearrange the table. Surely, will never come to this restaurant anymore. Definitely will come again, chicken is well cooked and crispy and muchhh nicer than tcrs. We ordered extra portion of chicken just for my 5 yo daughter. 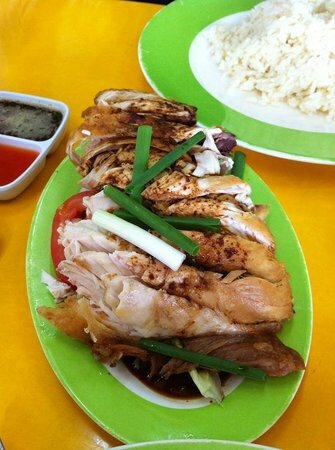 The best Malay Nasi Ayam in Ipoh. I have been going here since I was small and they have been moving shops for the last 30 years. Off course they used to be much better those days. The rice is good. Chicken ok. Need to improve on "kicap". Servis ok, so-so. The older staff not friendly. The place is quite secluded but always full of people. 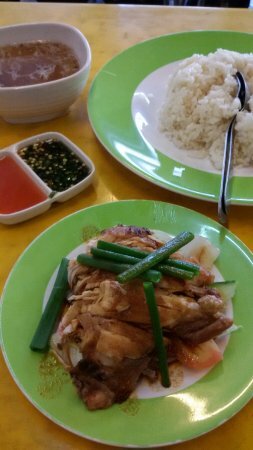 The nasi ayam(chicken rice) taste is just average. Nothing much special about it. The service is quite fast though there are many customers. 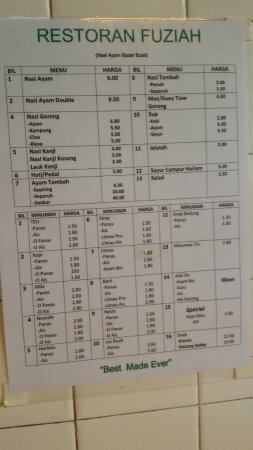 Get quick answers from Nasi Ayam Puziah Bazar Bulat staff and past visitors.